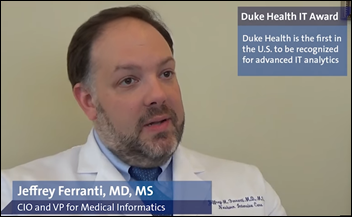 Duke Health (NC) becomes the first health system to earn all three HIMSS Analytics Stage 7 capability and maturity honors – ambulatory EHR, acute care EHR, and the new AMAM analytics model of which Duke is the first Stage 7 winner. From Early-Career Epic: “Re: education. My 20-year-goal is to be a C-suite hospital system exec. In researching advanced education, the most-recommended choice is a Master’s of Healthcare Management instead of the MPH I was planning. My undergrad is in management. What path would you suggest I take?” I’ll invite readers to comment, but I would recommend an MBA because: (a) it’s more generalized; (b) it’s more recognized should your healthcare plans not work out; and (c) my impression of the MS in Healthcare Management is that it covers general material that you could learn on the job. Also consider where in the C-suite you’d like to land – the MBA is fine for almost everything except CFO and a clinical position. I love the MPH degree for those who already hold a clinical degree (or plan to get one), but I don’t know that it has as much value as a standalone master’s. I would also suggest that if you’re looking for CEO/COO type jobs, consider a health system’s administrative internship or residency if you’ve got the connections to be named since hospitals frequently move those who are chosen up through the ranks. If your desired path is CIO, you can skip some layers and save some time by spending couple of years as a consultant if you don’t mind the travel, but you’ll still want that MBA. From Sunshine: “Re: new Orlando Health CIO. The new CEO came from Rex Healthcare (NC) and the new CIO worked there before Ascension. Final candidates were so weak that she looked like the best choice.” Novlet Mattus was CIO at much-smaller Rex from 2008 to 2012, while Orlando Health CEO David Strong was president of Rex for 10 years until he took the Orlando Health job in early 2015. You see all over healthcare that CEOs of both providers and vendors bring some of their executive entourage along with them when they switch jobs. Some that I’ve known personally in the past seemed to value comfortable loyalty or other unstated factors over competence, but part of being the boss is getting to choose your teams using whatever criteria you want. Welcome to new HIStalk Platinum Sponsor HCTec. The Brentwood, TN-based company offers health IT consulting (full life cycle — including build, enhancements, optimization, and support — ERP, technical services); revenue cycle consulting (HIM, clinical documentation improvement, case management staffing); and managed services (application support, help desk, legacy application support). The company’s 900 US-based consultants and 250 corporate team members provide services to 1,000 hospitals that can range from supplying a single expert partner to fielding fully-staffed on-site or remote teams. 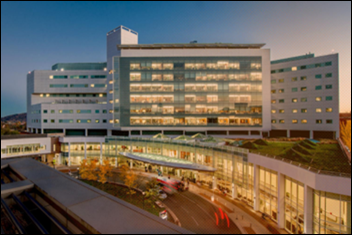 A recent case study describes their work with Saint Luke’s Health System to simultaneously optimize and support Epic, which improved employee satisfaction at a $20 million savings. Thanks to HCTec for supporting HIStalk. Listening: Strange Days by The Doors, the 50th anniversary (!) expanded edition. Mr. Mojo was definitely risin’ musically for the occasion at just 23 years of age. Deepak Murthy (Box) joins Innovaccer as president and chief business officer. SSI names Jeff Miller (CSC) chief product officer. Loyale Healthcare promotes industry long-timer Grattan Smith to EVP of channel strategies. DirectTrust President, CEO, and Co-Founder David Kibbe, MD, MBA will step down at the end of the year. Soon to be under the Allscripts umbrella, Practice Fusion will start charging customers $100 monthly subscription fees for its previously free EHR software. MModal investors inject $70 million into the company through a debt conversion. The speech recognition vendor acquired Landmark Transcription last fall, three years after emerging from bankruptcy. 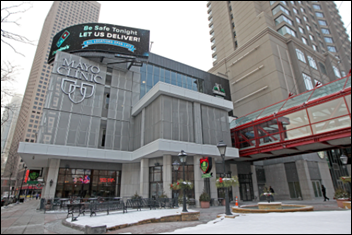 Eight months after kicking off a $1.5 billion Epic implementation, Mayo Clinic (MN) officials report a 50 percent increase in earnings attributed to reduced Medicaid losses, greater philanthropy gains, increased efficiencies, and strong investment returns. 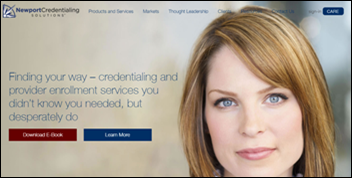 TractManager acquires Newport Credentialing Solutions, adding the provider enrollment software company to its stable of healthcare sourcing divisions that include MD Buyline and MediTract. TractManager’s CEO is former Cerner President Trace Devanny. Bon Secours Health System and Mercy Health – both Epic shops – will merge to create an $8 billion health system serving seven states across 1,000 facilities. University of Virginia Health System notifies 1,882 patients of an 18 month-long malware attack that enabled a hacker to remotely view hospital settings, possibly including PHI, through breached devices. A NEJM Catalyst article calls for Congress to lift its ban on a unique patient ID, enacted in 1998 due to patient privacy concerns even though other countries that issue those identifiers haven’t had problems. Google’s DeepMind Health subsidiary will use the de-identified health records of 700,000 veterans to help the VA develop machine learning algorithms that can predict patient deterioration, initially focusing on acute kidney injury. DeepMind embarked on a similar project for the NHS last year that became mired in controversy over its failure to comply with UK data privacy laws. The latest Electronic Prior Authorization National Adoption Scorecard report from CoverMyMeds finds that the integration of EPA software with EHRs has increased year over year, and that prescribers who use a dedicated EPA tool spend 2.5 hours less on PAs than those who use more than one method. 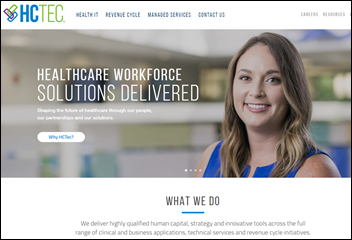 The local paper highlights employee unrest at Intermountain Healthcare (UT) after it announced it would move 2,300 billing and collections employees to jobs with new outsourcing vendor R1 RCM (formerly Accretive Health). Those employees have voiced concerns about the Chicago-based company’s reputation for shaking down patients at the bedside for payment and other questionably ethical collection practices. 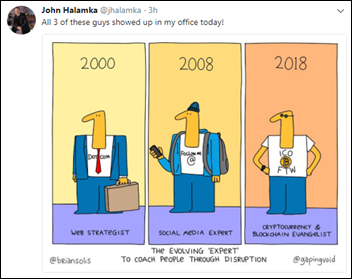 A historically accurate tweet from BIDMC CIO and gentleman farmer John Halamka, MD. ESD publishes an explainer video of ARI, the cloud-based project management tool that it will demonstrate at HIMSS. Boston Children’s Hospital joins the TriNetX Global Health Research Network. Santa Cruz County Health Services Agency adopts the Carequality framework via its Netsmart EHR. ChartLogic will exhibit at the 2018 AAOS Meeting in New Orleans March 7-9. 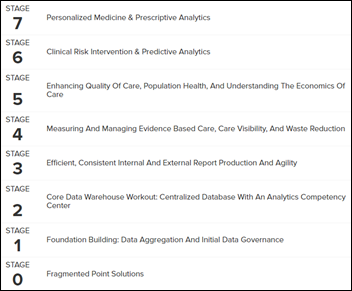 Health Catalyst customers document 125 performance improvements including lower mortality, higher revenue, and better patient experiences using its data, analytics, and professional services. Kyruus will present at Elasticon 2018 February 28 in San Francisco. Visage Imaging announces GA of Visage 7 Enterprise Imaging Platform version 7.1.11. PatientSafe Solutions will release new features for its PatientTouch communications software at HIMSS. Mobile Heartbeat releases Version 18.1 of its MH-CURE clinical communications and collaboration platform. Definitive Healthcare adds ICD-10 claims analytics for 2016, plus dashboards for hospital financial comparisons and quality performance, to its database of healthcare market research. Cerner adds real-time prescription benefit data from Surescripts to its Millenium EHR. I agree with you. I have an MHA but think an MBA with a concentration in healthcare is the way to go. My RN IT boss in the Clinical Applications Dept at a large AMC was known to only promote those with clinical backgrounds to management roles. No exceptions. I left. I think if you are 100% down the health systems path, you could probably consider MHA or MBA (but would not do MPH). Some systems are still in the dark ages and I hear focus on MHA (even if they say MHA/MPH/MBA). On the other hand, HCA has (or at least had) a fast track COO program that I believe only recruited MBAs, so there are others that will prefer it. 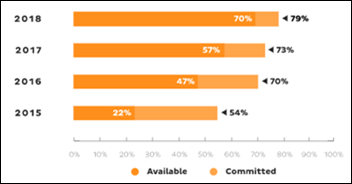 MBAs are less represented in administrative fellowships, which I think is a largely a factor of not liking the pay, but you are also able to network better for these positions if you have alumni connections. Most MBA programs with a healthcare focus are more focused on pharma/devices & don’t have as many class offerings in the provider space. But, independent studies are easy to come by. Like Mr. Histalk said, if you think there is any room for change in your decision, MBA is the way to go. An MBA will give you a big edge if you decide you want to try out consulting, health care start up (of which there are many interesting ones in the provider space), etc. Industry will much prefer an MBA & many will not really care about MHA. MBA will also give you a stronger network, but of course not health system focused. I came out of Epic, work for a health system, and would definitely do the MBA again, but I’m also not in a classic administration role. I think an MBA tends to better matched to the personality of an Epic person, it’s more fast paced than an MHA program based on discussions I’ve had with colleagues. I have both an MBA and an MBA in Hospital & Health Administration. These were done together through a dual-dual program in the mid-90’s. The MA is pretty close to what you’d get with an MHA today. In fact, the program I went through now offers an MHA instead of an MA. I was able to get both degrees in 2.5 years due to course overlap. The core courses offered by the MBA program (finance, accounting, etc.) seemed to be a little better than those offered by the MA program. But, overall, I think the healthcare-specific content I got in the MA program was far superior to what I learned in MBA classes. I got enough exposure to healthcare operations to really understand what makes healthcare unique from other industries. But, it also limits you to this industry. A dual degree might be worth extra semester or so you have to put in. RE: Doors 50th. Wow has time flown! After this Blue Sunday, while Waiting for the Sun, this Wild Child decided to take my gal – a real L.A. Woman, BTW – Maggie M’Gill to Hyacinth House for dinner – with cooking straight out of a Soul Kitchen. I thought we’d finally Break on Over to the Other Side, yet even tho I Love Her Madly, it was clear that no one was going to Light My Fire, and so you know by the End of the Night, When the Music’s Over, it’s time to leave. But in The End, Tell All the People, I’ve decided to Take It As It Comes. I just wish someone would Touch Me. And if you’d like a neat take on the Doors music, get George Winston’s solo piano interpretation from 2002, titled “Night Divides the Day”.